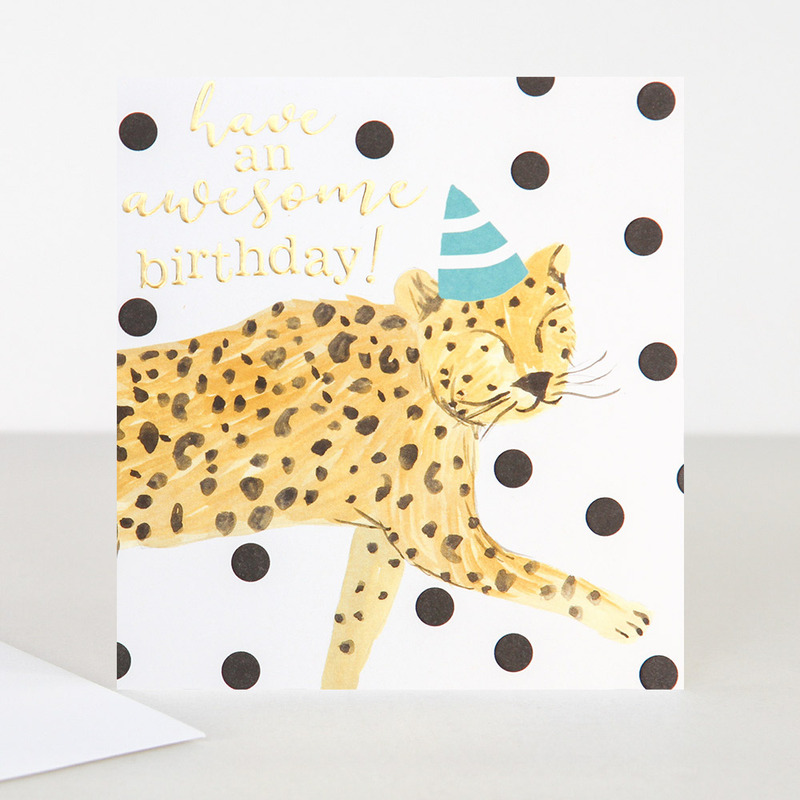 A fabulous Cheetah birthday card from Caroline Gardner. This card features a hand painted design with a fun mono spot background and embossed gold foil text "have an awesome birthday!". The card is blank inside for your own message.